My Ryukyu spinning wheel was made by Mr. Oshiro, a 3rd generation floor loom and spinning wheel craftsman from Haebaru, Okinawa-Japan. It is handcrafted from cedar and bamboo. Initially, i learned to use my wheel to spin basho banana fibers after the fibers have been retted, split, and hand-tied. Spinning basho fibers is quite different from spinning other bast fibers like linen, for example. Since basho threads are joined together by hand-tyeing first, there is no need to spin the fibers together to join them. 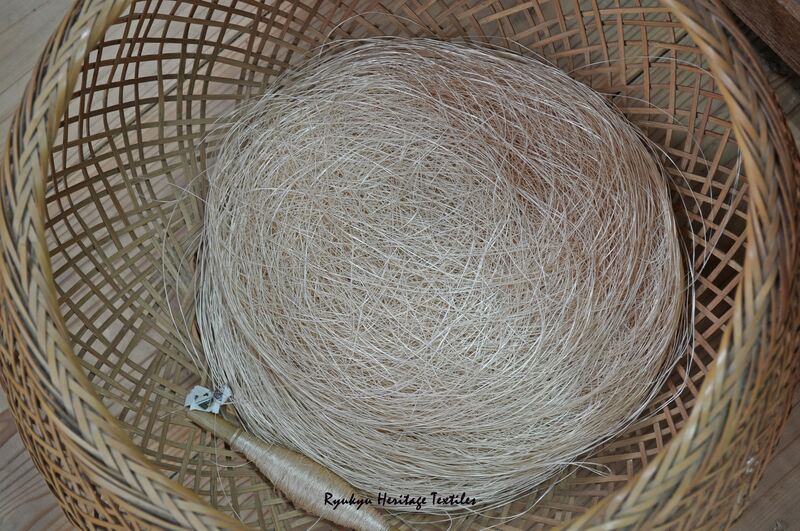 Instead, the basho fibers are handspun while applying a slight twist to the yarn which strengthens the basho for the subsequent resist-tyeing, hand-dyeing and handweaving into bashofu abaca cloth. 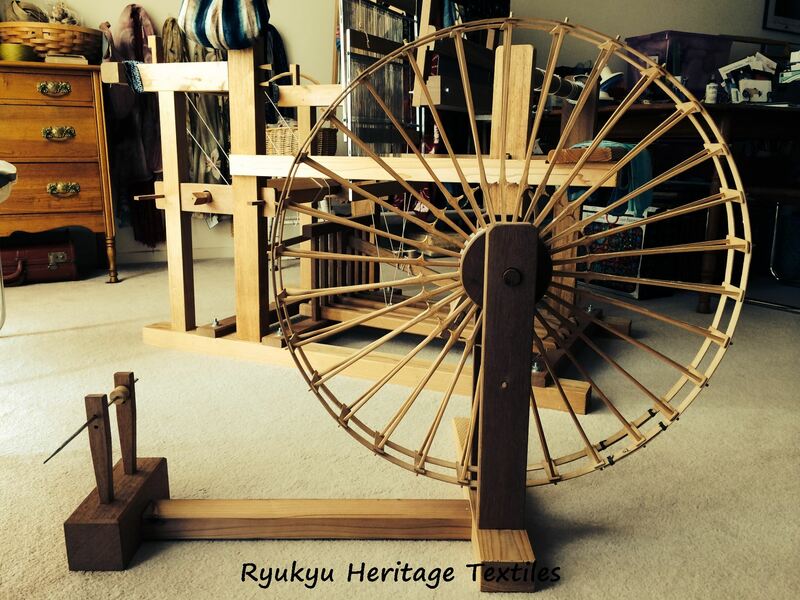 Now, i am utilizing my Ryukyu spinning wheel to explore handcrafting other fibers such as paper and cotton. 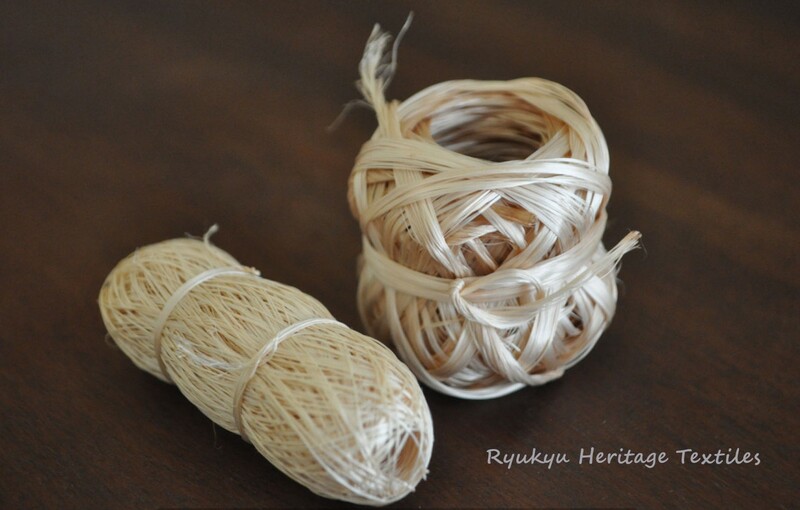 Each thread created is a means for chimugukuru, a celebration of the heart and soul of Okinawa.